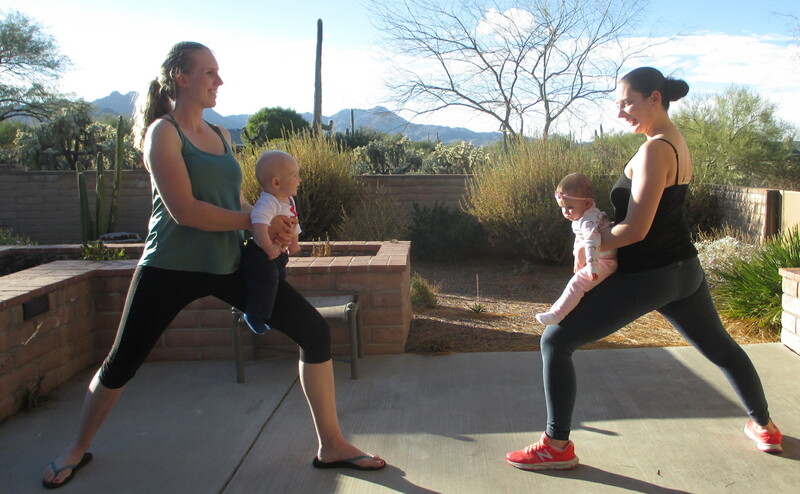 Last month’s post Home Yoga for Postpartum Mamas, Part One provides visual reminders of simple yoga for moms-to-be and postpartum mamas. The focus is on the early weeks after baby arrives. A little bit of breath, movement, and mindfulness gives sooo much relief from tension and stress. Here, I’ll highlight yoga after the bleeding has ceased, stitches have melted or been removed, and moms begin to feel like themselves again. Typically, (but not always) this happens 6-8 weeks after giving birth. Of course, moms participating in mom/baby yoga will get reminders as well as support in those classes too. 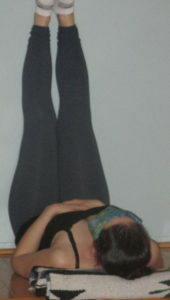 The asanas below do not have to be practiced all at once. Remember. To. Breathe. Sprinkle these moves into your day as it feels right. Join babies in a gentle backbend, opening the chest and gently stimulating spine health. Counters all of the forward bending of our busy days. Cobra (not pictured) is another option. If you’ve had a caesarian birth, be sure you’ve given yourself enough time for healing to occur. Back off if this pose doesn’t feel right. Baby LOVES watching you practice cat/cow. Feel the stretch all along the spine, shoulders, lower back, and hips. Bridging. With baby along for a ride-or not. Relieves fatigue, opens the chest, strengthens glutes. Check with a qualified teacher for more ideas. After a long feeding, stand up and stretch the back of the leg and ankle. Partner with baby. 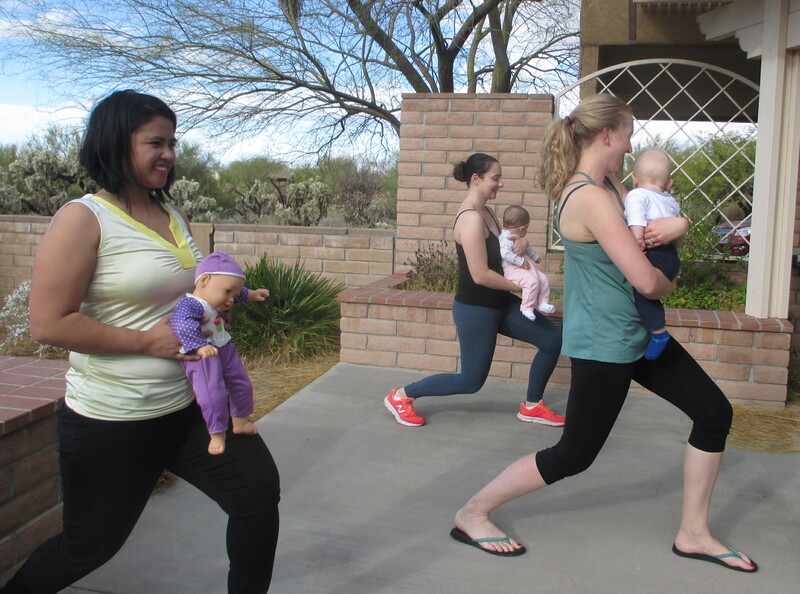 Take baby along for leg strengthening, stretching and hip opening warrior 2. Look in the mirror and baby will be very amused! Lunge walks or warrior 1. Hold baby with strong arms and soft shoulders. Walk through the house with wide lunging strides, opening hips and strengthening legs. Or just take both sides in warrior 1. Feel the strength in quads on front leg. Baby sleeping. Dial it down, mama. Great for postpartum relaxation and recovery. Be sure to sign up for our newsletter (below) to receive timely updates on upcoming workshops and classes for prenatal and postpartum moms and parents.